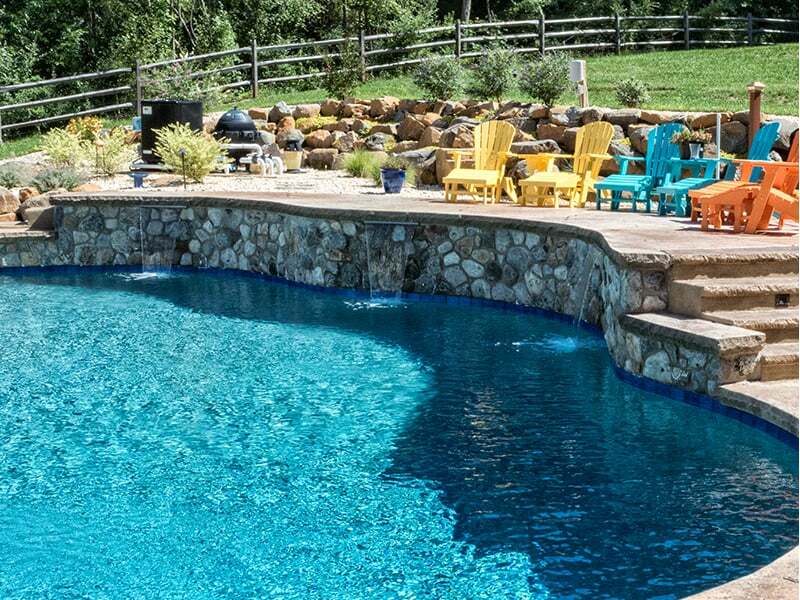 Backyard pool party ideas to celebrate Labor Day! 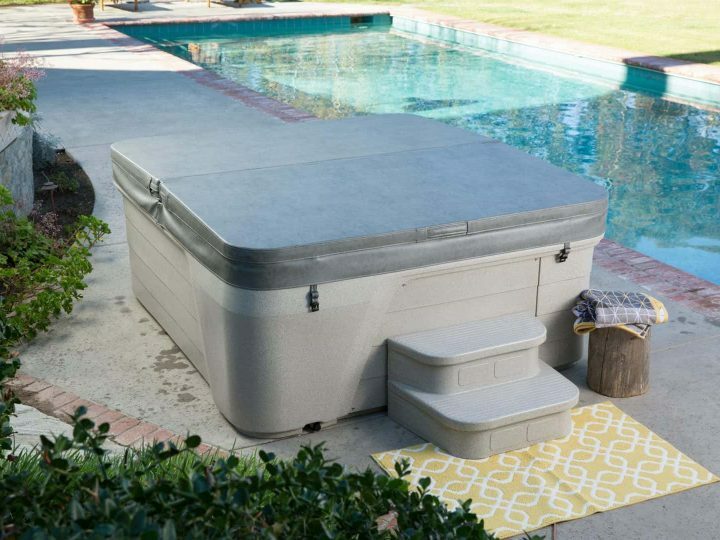 Fronheiser Pools > Blog > Uncategorized > Backyard pool party ideas to celebrate Labor Day! With Labor Day right around the corner -end the summer in fashion with a backyard bash! Find inspirational party ideas, recipes, cocktails, and so much more with these four simple steps. Take full advantage of Labor Day with all your favorite BBQ dishes. A party, all your friends, and family, will remember for years to come. Whether your guests are splashing around in the swim spa or in-ground pool, everyone will want to experience this amazing thirst quenching drink. Optional: Add vodka for bit more fun! Using a small saucepan over medium-low heat. Combine water and sugar to create a simple syrup. Stir until the sugar has dissolved. Let it simmer for about 10 minutes until it thickens slightly. Pour in a cup and chill. After the sugar is chilled, combine the lemon juice, seltzer water, and the blueberry juice. Then add the simple syrup to taste. (Use less simple syrup if you prefer a more tart taste.) Serve over ice, with fresh blueberries. Set the mood with candles, patio lighting or torches. If mosquitos are an issue, don’t forget the mosquito netting or citronella. For an added splash, scatter a few festive touches around the spa. Decorate your backyard with red, white and blue. Encourage everyone to come dressed in the theme by wearing patriotic colors. For little extra fun, have a contest for the most outrageous attire. Upon arrival greet your guest with a patriotic hat or button. Regardless if you’re seeking shelter from the sun, or just jazzing up the backyard, embellish your patio with outdoor furniture. Everyone loves party games and activities, so make sure you have plenty planned for everyone to participate in the family fun. Here are a few favorites for everyone to enjoy: potato sack races, balloon toss, badminton, croquet, frisbee, and volleyball. Since you have your Caldera Spa entertainment system, let’s keep the party going with a movie night. 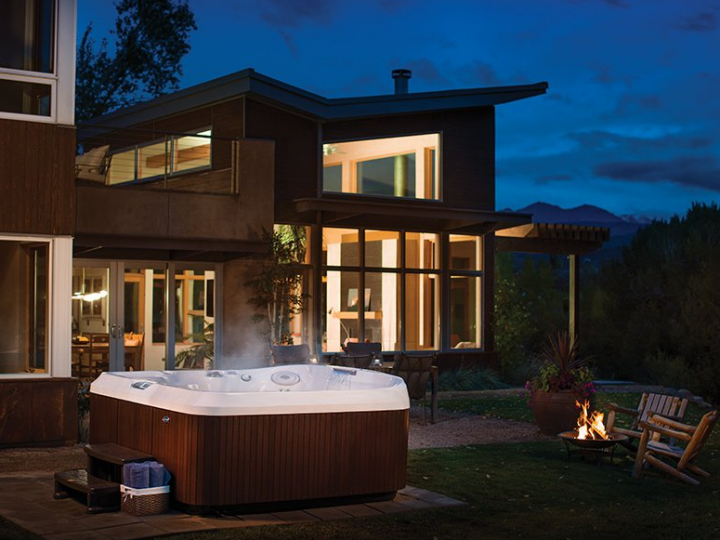 The Caldera Spa Series offers a music ready spa with built-in factory speakers or add the high-tech sound system with Bluetooth wireless technology. Or, dazzle your guest with live TV and video streaming in the comfort of your spa with the 22” HD Wireless Monitor. 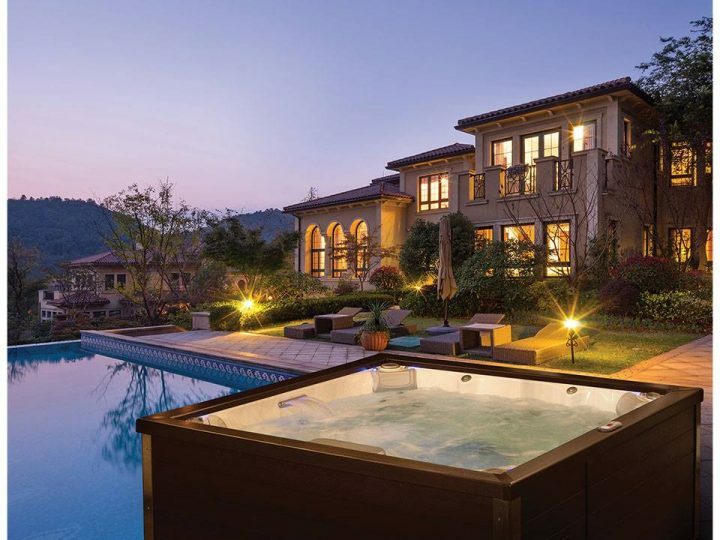 For more information on swimming pool and spa entertaining, visit Fronheiser Pools.